Outdoor advertising is an important part of any advertising campaign, one that is often easily forgotten in the age of online immediacy and digital ads. Vinyl banners are an increasingly popular form of outdoor print advertising. They are highly visible and eye-catching and they can provide just the boost your business needs. Read on for some great reasons to use custom printed vinyl banners. Vinyl banners are a great way to post a highly visible message outside of your business or in the surrounding areas. Thanks to the wonders of modern production, these banners can be printed in full color, with great resolution, at almost any size. They can be printed horizontally or vertically, and fitted with grommets so that they can be hung up in a variety of locations, from light poles to the side of your building to over a street. It’s a sure bet that a well-designed, beautiful banner will catch someone’s eye and draw their attention to your business. Vinyl banners are typically printed on 13oz thick material that is weatherproof and durable. The vinyl and your image printed on it will be waterproof, won’t fade in the sun, and will be scratch resistant. Vinyl banners also come with a variety of options that allow them to be resistant to tearing in windy weather, including hemming all four sides of the banner, adding slits that allow the wind to pass through, or making the whole thing from a vinyl mesh. For all of the value that you get with a vinyl banner, the price is usually super reasonable. 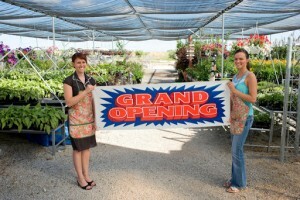 Hanging vinyl banners is a great way to draw attention to grand openings, big sales, and other special events. They are a good bet not just for business, but also for schools and clubs that need to alert people to upcoming events. Vinyl banners can serve a variety of purposes besides simple advertising as well. On construction sites, these banners can act as a deterrent to entry for people who aren’t authorized to be there, by making the fences hard to climb or cut. The big things to keep in mind is that banners require planning and forethought: what it says, how it looks, and where you put it will all contribute to how successful a vinyl banner is for you. If you’re unsure how to design your banner or what it should say, just ask! Whether you know already how your vinyl banners should look or you want further advice, Time Printers is here to help. We service all of Baltimore, Hunt Valley, and Towson. Our team of professionals can tackle all of your questions. Give us a call at 410-566-3005 and be sure to follow us on Facebook, Twitter, Google+, Pinterest, and LinkedIn for tips and to see what we have been working on and what we can do for you. This entry was posted on Friday, November 30th, 2018 at 9:50 am	and is filed under Vinyl Banners in Baltimore. You can follow any responses to this entry through the RSS 2.0 feed. Both comments and pings are currently closed.